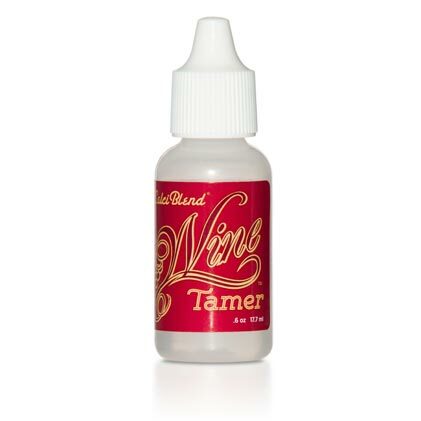 Safely neutralizes acid in red and white wine before you consume it without changing the flavor! 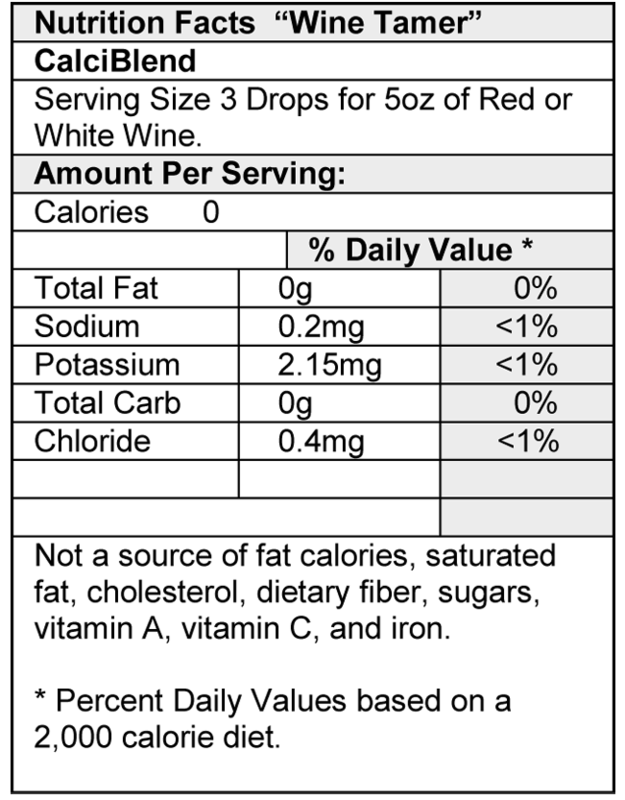 Works great in red and white wine that may cause stomach distress, heartburn and Interstitial Cystitis distress. Some people, especially as they mature (or with certain medical conditions), have trouble enjoying their favorite red and white wines. Now there is a healthy way to reduce acids in the wines we love without changing the taste or aroma. It works! 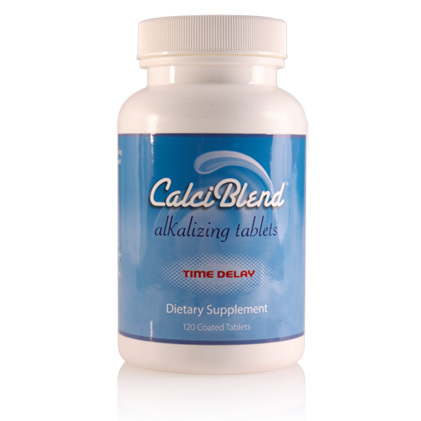 All ingredients meet the requirements set for the by the United States Pharmacopoeia (USP) or Food Chemical Codex (FCC). 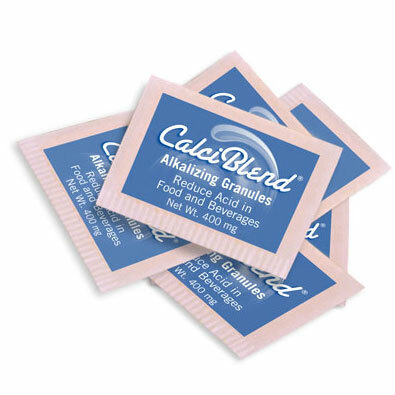 The components are Generally Recognized as Safe (GRAS) as defined by the Food and Drug Administration (FDA) and are approved as safe to use in food at the appropriate concentration. GRAS ingredients have been tested a minimum of 20 years by the FDA for safety in consumer products. 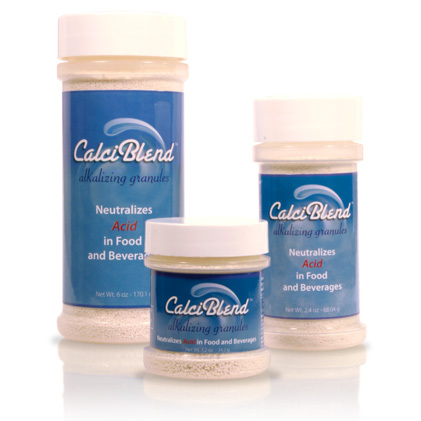 CalciBlend Does Not Contain: Aluminum, Cholesterol, Sugar, Fat, Gluten, Lactose, Calories, Dyes or Preservatives. This product is designed to be diluted in wine. Do not put in eyes or directly into mouth. Ingredients: Distilled water, gum arabic, potassium hydroxide, pharmaceutical grade polyethylene glycol (PEG), sodium chloride, potassium chloride. Inert Ingredients: Water, stablizer, excipient. Put three drops in 5 ounces of red or white wine and stir for thirty seconds.